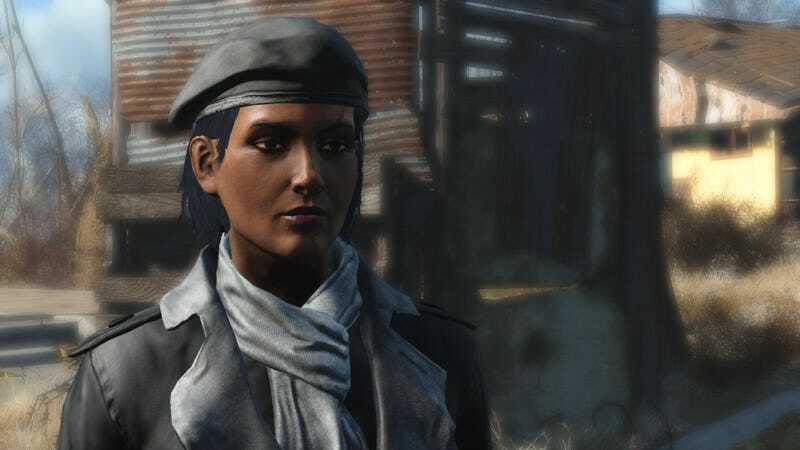 If you’re anything like me, you’ve spent the bulk of your time in Fallout 4 dressed up in a slate trench coat and a sliver scarf. That’s because you’re wearing the Silver Shroud Armor, a good single-piece armor set you can get from an early-game sidequest. This post contains some spoilers for the Silver Shroud sidequest. If you haven’t done that, go do it! I’m playing a character with very low strength, so the Silver Shroud armor is perfect for me. I don’t have to carry around a bunch of heavy armor pieces, and I get boosts to my agility and perception, as well. Here’s something I found out last night: You can upgrade your Silver Shroud armor, which helps it scale along with your character. The armor itself is obtained as a reward for completing the Silver Shroud sidequest. If you haven’t done that, go do it—it’s a cool quest and the reward is worth it. You can start the quest by tuning in to Silver Shroud Radio, which you should pick up either in Diamond City or nearby to the east. Provided you managed to keep Kent (the ghoul who gives you the quest in the first place) alive through the whole thing, you can return to him in Goodneighbor’s Memory Den and have him upgrade your armor. I found out about the upgrade completely by chance, and I’m really glad I did. It costs nothing, and it raised my armor’s physical and energy defense ratings from 42 to 57. According to the Fallout 4 wiki, that first upgrade unlocks at level 25. There are two more upgrades available after that one: At level 35 you can kick its defenses up to 70, and at level 45 they’ll go up to 87. I figured I’d throw that out there for anyone else who wears this armor and might not have realized they can upgrade it. It’s nice that low-strength characters like mine can have a quality set of light armor that levels with them. It’s less good news if, like me, you might be getting a liiiiiiittle sick of wearing the same thing for this many hours. For all I know, there’s a better suit of light armor out there. For now, I’ll take the upgrade.